Stately Dusit owes its elegant vibe to Dusit Palace, a grand complex with museums, parks and the neoclassical Ananta Samakhom Throne Hall, which displays Thai arts and crafts. Nearby, the National Library displays star charts and ancient maps. Narrow side roads conceal busy markets such as Bobae Market, specializing in wholesale clothing, and Thewet Market, offering plants, produce and street snacks. Dusit (Thai: ดุสิต; IPA: [dù.sìt]) is one of the 50 districts (khet) of Bangkok, Thailand. The district is the administrative centre of the kingdom, as both the National Assembly and royal palace are in this district, as are several ministries. 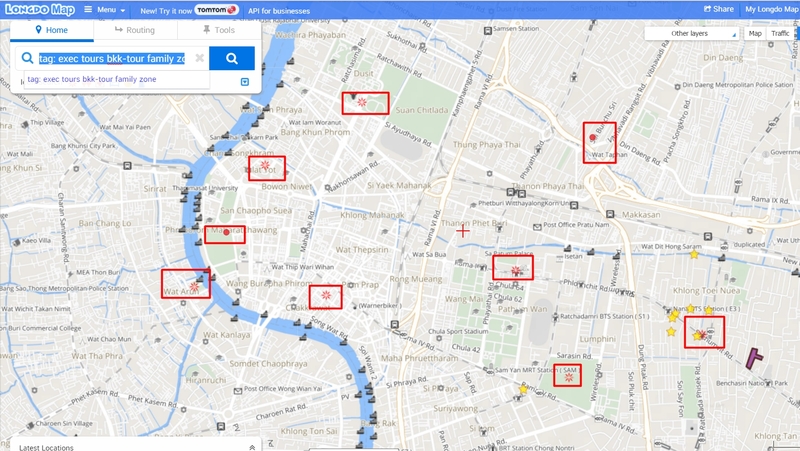 It is connected to Rattanakosin Island by Ratchadamnoen Avenue (literally, "royal way for travelling"). Neighbouring districts are, clockwise from north, Bang Sue, Phaya Thai, Ratchathewi, Pathum Wan, Pom Prap Sattru Phai, Phra Nakhon, and across the Chao Phraya River, the district of Bang Phlat. The district was established by King Chulalongkorn, who wanted to escape the confines of Rattanakosin Island. Vimanmek Mansion was constructed in 1900 completely out of teak, and was used as a royal palace for a short time, but was abandoned in 1908. Reconstructed in 1992, it is now a major tourist attraction of the district. Chitralada Royal Villa was built by King Vajiravudh (Rama VI), and was a residence of King Bhumibol Adulyadej. The large park around the palace was used by the King for agricultural research. Other important buildings in the district include the Ananta Samakhom Throne Hall, which was another former residence of King Chulalongkorn, and was later used as the first parliament building. It was built 1907-1915 by the Italian architects Annibale Rigotti and Mario Tamagno. Next to the building is the Suan Amporn Park, and across the street the Dusit Zoo. The vast space in front of Ananta Samakom Throne Hall is the Royal Plaza. At the middle of the plaza is the equestrian statue of King Chulalongkorn. Various events are held in Suan Amporn Park and Royal Plaza. Yearly events include commencements for many universities in Bangkok, and the Red Cross Fair which takes place for nine days from the end of March till the first week of April. Important administrative offices such as Government House are also in Dusit. Wasukri Pier is the pier to board and store royal barges, which sail in Thailand's Royal Barge Procession. Near the pier is the National Library of Thailand. In addition, it is also home to several military camps under Royal Thai Army (RTA) such as 1st Cavalry Regiment, King's Guard, 4th Cavalry Division King's Guard, 1st Field Artillery Battalion, King's Guard, Air Defense Artillery Division, Department of Army Transportation, Army Ordnance Department, Army Ordnance Learning Center, Command And General Staff College, and some parts of Royal Thai Air Force (RTAF) such as Directorate of Aeronautical Engineering etc., which makes Dusit was named as "Military District". Several other palaces have been converted into facilities for other purposes. Chan Kasem Palace was initially built for the crown prince by King Rama V, but was never used by King Rama VI and later became the office of the Ministry of Education. Suan Sunandha Palace was built for the queen, consorts, princes and princesses, but is now home to Suan Sunandha Rajabhat University. The most famous Buddhist temple of the district is Wat Benchamabophit, built by Prince Naris as the royal temple of King Chulalongkorn.